Open your eyes. If you walk too quickly you just might miss it but once you see it, it’s difficult to pay attention to anything else on that side of College Street. 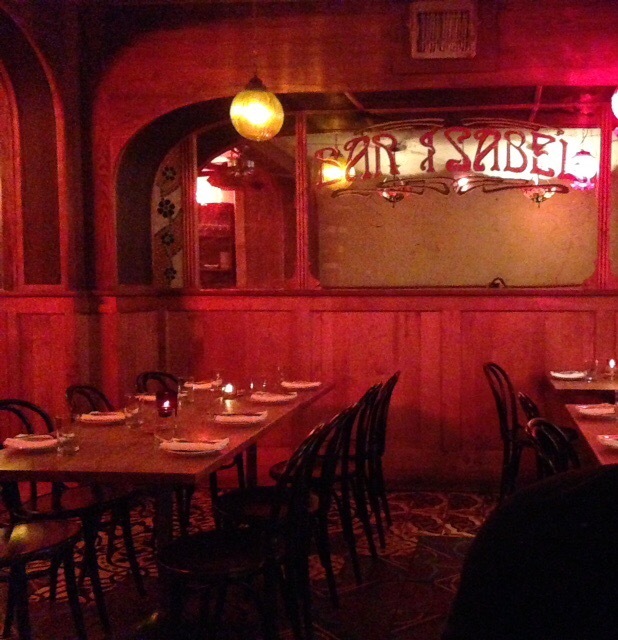 Thick wooden panels frame a gorgeous wooden door illuminated red by the signature Isabel scrawl. When you walk into the restaurant your eyes need a few minutes to adjust before the warmth of the venue washes over you. Authentic Spanish tiles bring the floor to life, rustic mirrors covering the length of the restaurant make the room feel bigger, the dimly lit space and candles on each table create an oasis for every guest. If you find yourself looking up you’ll notice an array of different light fixtures, adding even more character to an already charismatic space. Thanks to my current position as Customer Service Coordinator at an importer of Spanish cured meat and specialty items, I’ve become pretty well-versed in the world of Spanish tapas. So while other couples Googled their way through the menu, I comfortably and casually ordered the Lomo Iberico, Chips & Boquerones, the Jamon Tasting (featuring the Trevelez and Iberico de Bellota), the Half Octopus, Jamon Croquetas, Manchego Cheese, and the Bread. I was stumped by a few items and was thoroughly impressed by the staff’s product knowledge and their ability to help us navigate our way through a pretty amazing tapas meal. Our waitress ensured that she would bring out the dishes that went best together until we made our way through the entire order. What I’m noticing about Spanish tapas is the need for quality ingredients. Since the dishes are small and simple, there has to be enough flavour to bring the dish to life. 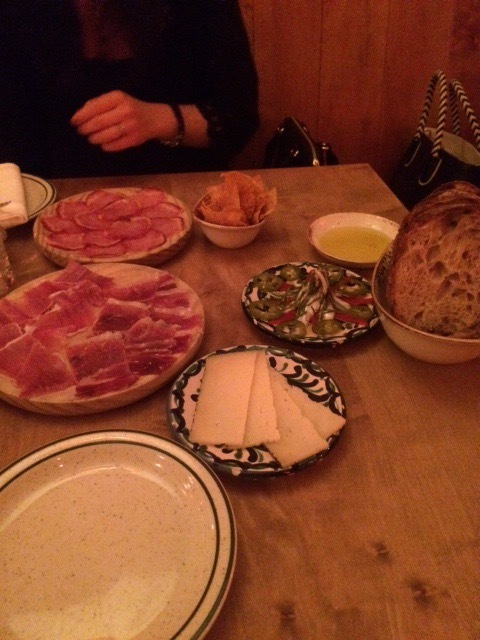 Everything from the bread to the olive oil to the thinly sliced pieces of Lomo Iberico had its own distinct flavour. A memorable flavour that tickled the palate and ignited the taste buds. So I guess the ultimate question is, would I go back? Would you go back to a place with great food, a warm atmosphere, and wonderful service? Exactly. I would love to go with a group of people next time, I love the idea of having a few drinks and chatting as we share a few dishes on a warm Toronto evening.